NHVTA CVT Certificates are available to all CVT members on the Members Only Section of the NHVTA website. Emails containing a link to your CVT Certificate are sent when new CVT applications are approved and when yearly renewal applications are approved. Complimentary or discounted registration at select NHVTA sponsored seminars. Event registration on the NHVTA website is required. Submit your application and payment along with proof of your passing VTNE score and a copy of your diploma from an AVMA accredited Veterinary Technology program. If you are CVT, LVT or RVT with current certification in another state (if you used another state’s loophole) please see information about Reciprocity below. Certified Veterinary Technicians are required to re-certify every year by December 31st (for the upcoming year). Twelve (12) CE credits are required to re-certify. 12 CEU per year is required for renewal. All of the following must be included for each CE submitted: Date obtained, Lecture title, Speaker name with credentials, Number of CEU earned. The NHVTA no longer requires physical copies of your CEU. Please use the online form to submit your renewal application. You do not need to send us the physical copies. We will be auditing a percentage of our membership annually. It is your responsibility to keep your proof of CEU. In the event that you are audited, you will be required to present proof of the CEU you obtained. If proof is not available your certification is subject to revocation. If you submit more than 12 CEUs for any one year’s certification they will not carry over for use in the following year. The NHVTA reserves the right to refuse to approve CE credit from seminars that were not approved by the NHVTA if these seminars are deemed to be inappropriate or of poor quality. Renewals submitted after March 1st are charged a $25 late fee. Please make sure you include an active email that you check on a regular basis on your application! 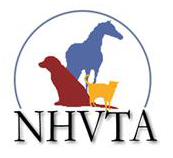 Online CVT Certificate available in the "Members Only Section" on the NHVTA website. NHVTA CVT Members - The renewal form is only available in the "Members Only" section. Are you a Certified/Licensed/Registered Veterinary Technician in another state? If so we honor reciprocity. Submit the application and fee along with a copy of your current license, certification, or registration. The NHVTA offers an Amnesty Program for those technicians whose certification may have lapsed. Certification is considered lapsed if it is overdue by one year. Applicants must submit the online Amnesty Form using the link below and listing 12 CEU for each year missed. The CEU’s do not have to be from the missed year, but 12 for each missed year are required. A total payment of $75 per year lapsed is required. Time Limit: An NH certification will go into expired status if not renewed for 4 consecutive years. Expired certifications must appeal to the board, Amnesty Form below, for reinstatement and will be required to reapply for NH registration and meet all of the standard requirements. Note: Amnesty Program does not apply if you have a current certification/license in another state. If that is the case apply for reciprocity.